JAMIE POPE, M.S., R.D.,, MS, RDN, LDN, FAND, is Assistant Professor in Nutritional Sciences in the Vanderbilt University School of Nursing. 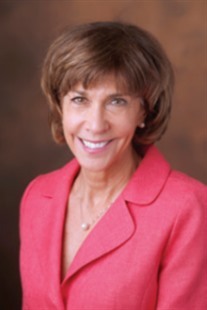 She has been with Vanderbilt University since 1986, working in the areas of obesity research, weight management, health promotion, and heart disease prevention and—since 2000—teaching introductory nutrition courses. Jamie’s popular classes bring together undergraduate students from a wide range of majors to learn about the science of nutrition and its application to their personal and professional lives. She was the recipient of the Faculty Innovation in Teaching Award in 2013. Beyond the classroom, Jamie adapted portions of her Vanderbilt courses to produce an open online course on the Coursera learning platform, which attracted more than 175,000 students from all over the world. Outcomes and application of this online course to dietetic practice and nutrition education were published in the Journal of Nutrition and Dietetics and presented at the Academy of Nutrition and Dietetics Food and Nutrition Exhibition and Conference. Based on her professional and scholarly contributions, she earned the status of Fellow of the Academy of Nutrition and Dietetics in 2017. She serves on the executive leadership committee for Nutrition Educators of Health Professionals dietetic practice group. Jamie has also served as corporate nutrition consultant, media representative, and scientific advisor for several national companies and corporations. Earlier in her career, Jamie coauthored several popular press books such as The T-Factor Fat Gram Counter, which remained for more than three years on the New York Times best-sellers list. She has authored or contributed to numerous other scientific and lay press publications. Jamie cherishes time with her family and friends and loves listening to historical fiction novels on tape while she takes long walks with her dog.